energy efficient heating solutions sinCe 1949. Providing our customers with reliable and energy efficient heating solutions since 1949. 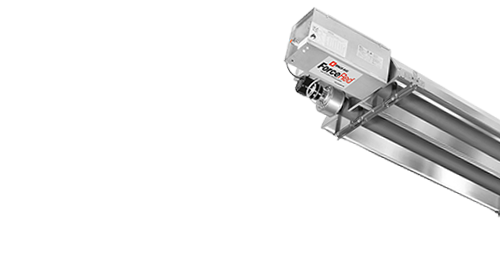 As a leading expert in the heating industry with more than 60 years of experience, Space-Ray delivers outstanding value-based heating products & support that our customers have been able to rely upon for years. 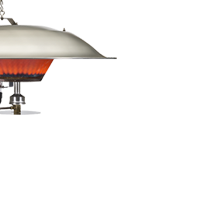 Space-Ray is an industry leading manufacturer of high quality infrared radiant gas heaters. We continue to move forward, bringing innovative, reliable and fuel efficient gas heating solutions to the marketplace. 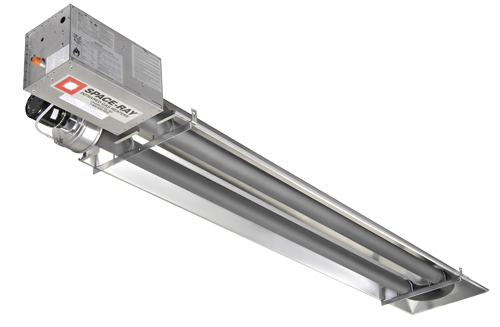 An infrared tube heater designed to provide the maximum radiant output and provides up to 30% more fuel savings than standard models. 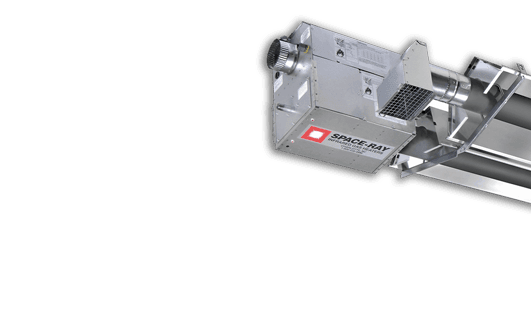 New High Pressure Brooder that is an ideal replacement of any existing high-pressure brooder. Lab test confirmed to have 17.6% more heat input than the leading competitive model. A genuine 40,000 BTU top-of-the-line, high pressure brooder, without any filters. 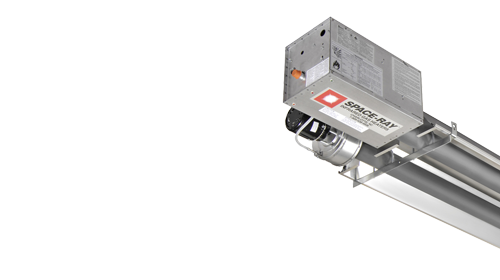 Ideal for spot heating in indoor environments or partially open buildings. Designed as a temporary heating solution for construction site, work areas and as supplemental heating for large buildings or for emergency heating. 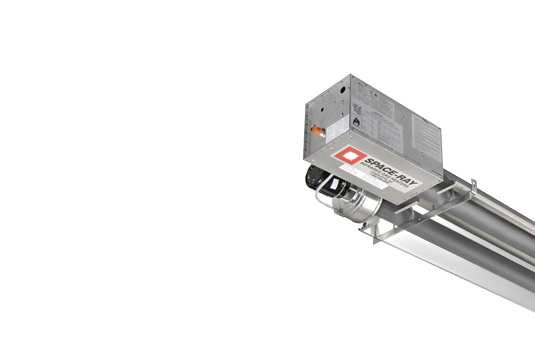 The Space-Ray Cold Blocker CB Series industrial strength infrared heater is made especially for residential garages, workshops or virtually any small unheated space. The 19° optimized reflector angle of the Bigfoot Series reduces convective wash. 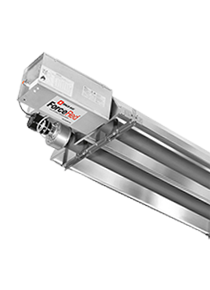 The PBF has a better radiant throw for even temperature distribution. Space-Ray’s new FUSION™ delivers a large, superior heat pattern at litter level. Better brood conditions mean more comfort for your birds. Before heating the air, radiant warmth is delivered directly to the birds and litter area where it’s needed most. 19° Optimized Reflector Angle Reduces Convective Wash. Better Radiant Throw For Even Temperature Distribution. 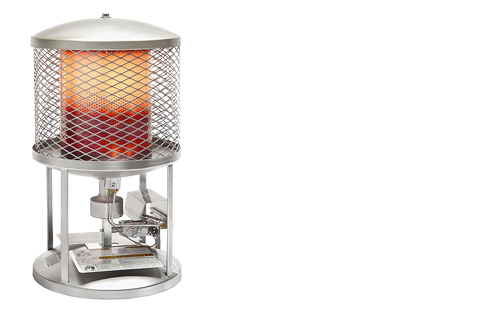 An industrial strength infrared heater with a multipurpose design, making it an ideal heater for any small unheated space, including; restaurants, patios, residential garages, workshops and more. and garages or other hard to heat areas. In planning for or renovating an industrial or commercial building, making the right choice when selecting a heating system can make a significant difference to your bottom line over the years. When the weather turns cool, Space-Ray heaters make it possible to use more of your available space. Placing infrared heaters above your patio or outdoor seating area can provide your customers with a comfortable environment to enjoy themselves no matter the weather outside. warmth, whether it's to outdoor spaces, livestock, and garages or other hard to heat areas. Heating solutions bring comfortable warmth, whether it's to outdoor spaces, livestock, and garages or other hard to heat areas. 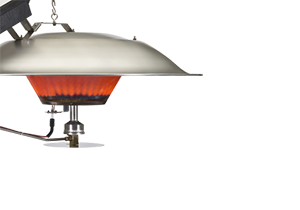 Our heaters have been made in the USA since 1949. We take pride in providing our customers reliable, efficient, and high quality radiant gas heaters that have stood the test of time. Ideal for Industrial, Commercial, and Residential applications.